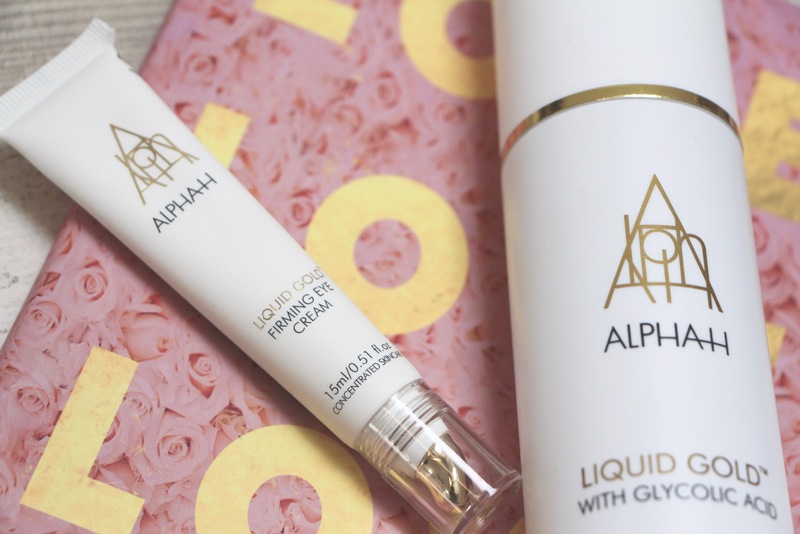 Cult Australian skincare brand Alpha-H have extended their amazing Liquid Gold line to include an all-powerful, all-problem-tackling eye cream. 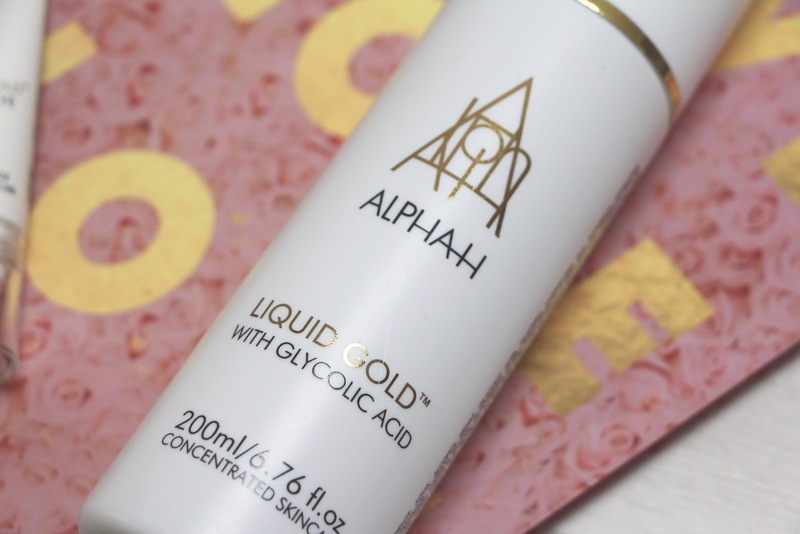 Their original Liquid Gold – an acid exfoliant that champions glycolic acid as its hero ingredient – was one of the first beauty products to properly make me sit up and take notice. When I used it (read my review here, written way back in 2011!) I was taken aback by the overnight results – visible results – that just seemed so quick, so easy. I had never heard of glycolic acid before – in truth, it sounded horrendous – but the way that it gently exfoliated and brightened my skin seemed revolutionary. And so my love for the whole Liquid Gold range was born. New products have been added over the years, all of them with the same powerful effects, and now there’s a marvellous eye cream too. 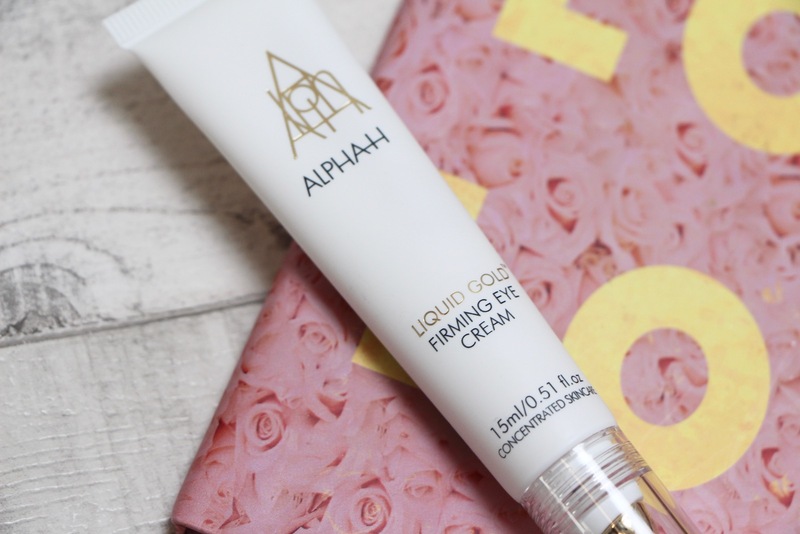 The Liquid Gold Firming Eye Cream differs slightly from the rest of the range in that it doesn’t have glycolic acid as its starting point; it uses instead slightly milder acids derived from caviar lime, which is native to the rainforests on Australia’s east coast. So a little gentler on the delicate eye area, but with the same brightening effects. 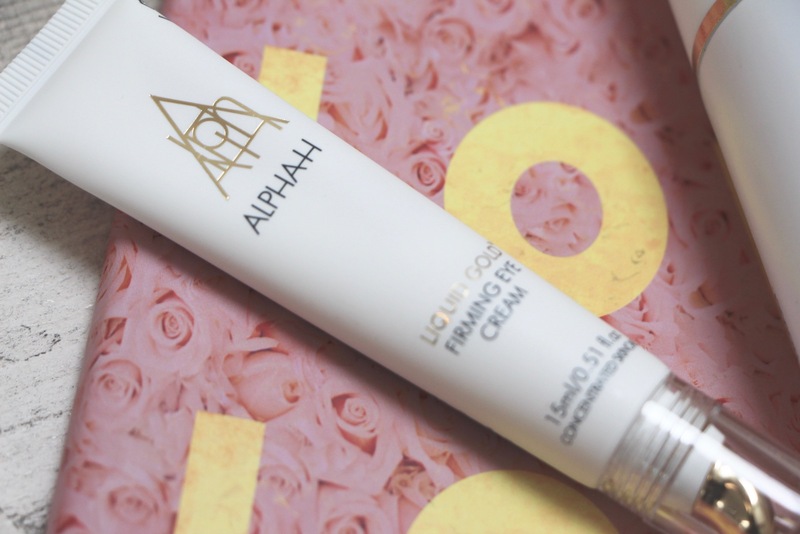 I’m going to do a full review on this eye cream, because I haven’t done an eye cream post in an age and I do love anything that can help to relax lines and generally stop my face from looking like Skeletor’s. 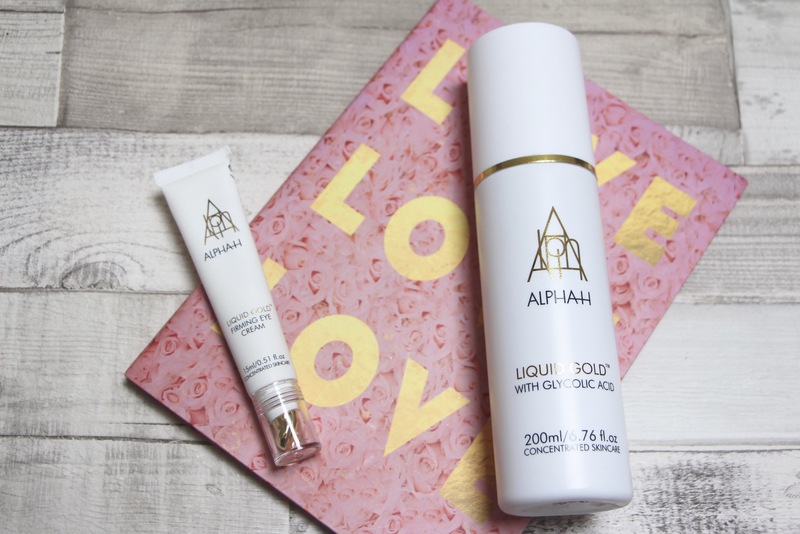 But in short, Alpha-H have packed pretty much everything they possibly can into this eye treatment – peptides for helping to diminish lines, repair the skin, firm it and smooth it, antioxidants to help protect the skin, stuff for puffiness, stuff for pigmentation… The list is huge. A whole other post. 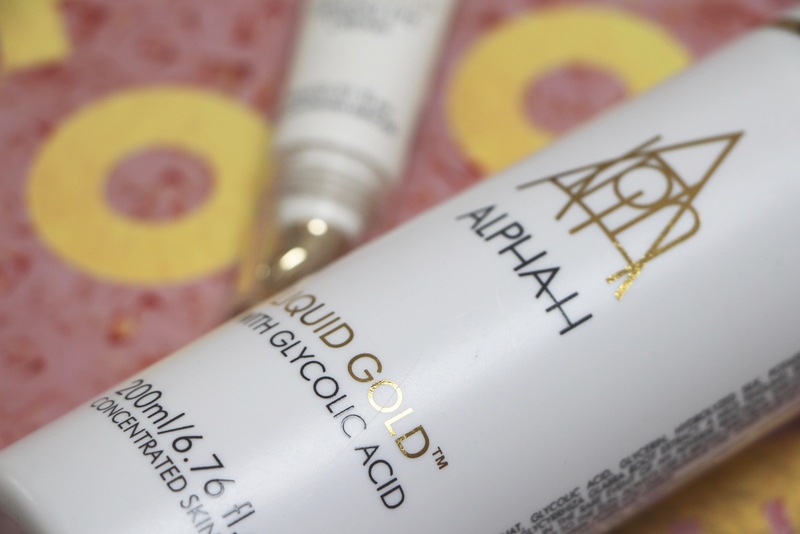 Be satisfied, for now, with the fact that it is potent and brilliant stuff and also with the fact that I am at liberty to give away SIX tubes of the eye cream (worth £52 each) along with SIX bottles of the new look original Liquid Gold (worth £33.50 each). A total skin transformation set for six lucky UK readers. Lucky six is the new lucky seven. You heard it hear first. To be in with the chance of winning, simply leave a comment below saying something nice or witty or profound. If you can’t think of anything, just type something like “gold!” or “me!” or “oi!” – there’s no prize for the comment, winners are chosen independently and completely at random, so all of this waffle is entirely for my own amusement. Leave your comments before noon next Friday 13th April and six winners will be emailed by the PR for Alpha-H the following week. For full T&Cs, please click here. You can find the new Firming Eye Cream at Cult Beauty here* if you’d like to read more and see the full ingredients list.